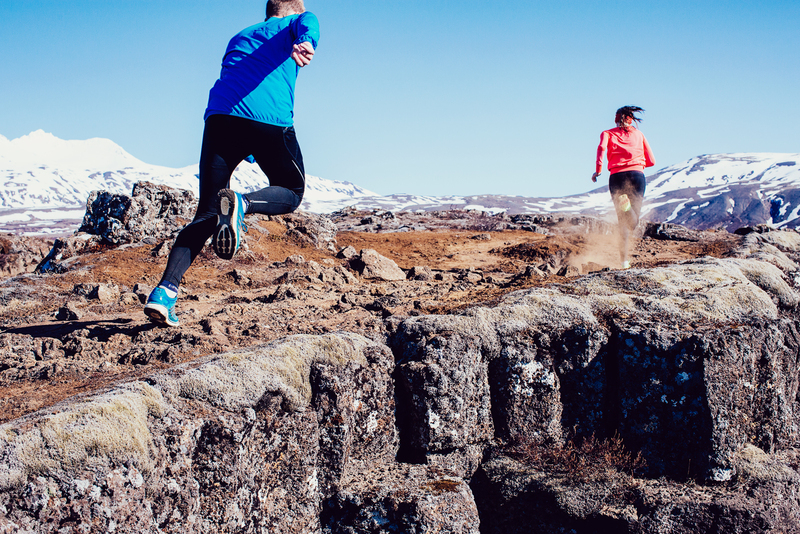 Every month world renowned runners visit Iceland to try out amazing trails and run in unspoiled nature, sometimes with no other people anywhere in sight. There are also many other activities the more adventurous among us can enjoy. Below is an account of a sailing and trail running tour with one of the world’s best trail runner, Rob Krar, written by local guide Inga Fanney. The tour started in the town of Ísafjörður, which is in the Westfjords of Iceland. The group consisted of runners from the USA and South Africa, a local guide and the captain of the sailboat Arktika. One of the runners on the trip was the North Face athlete Rob Krar, who had come all the way from Flagstaff in Arizona for this sailboat and running adventure. On the first day we set off after dinner with the sailboat from Ísafjörður to the Hornstrandir nature reserve. Hornstrandir has been uninhabited for more than 60 years, which has allowed the wilderness to flourish. There are no roads, so the sailboat seems like the perfect way to access the area, along with running the trails. Sandy beaches, lush vegetation, bird cliffs, fjords, mountains and valley and more is what this area offers. This is the land of the arctic fox, where it lives wild and the only area in Iceland where it is fully protected. This is also where two of the largest bird cliffs in Iceland can be found and so the wildlife this heavenly place offers is very unique. The second day started with a run from the abandoned village of Hesteyri. We warmed up by running to the old whaling station seen on the photo below. From there the old route between villages took us up a mountain pass and then a run along the shore. We were all feeling very appreciative of being able to stretch the legs and enjoy the good weather so we ended up with a long day out. Coming up another mountain pass we could see our sailboat again and finished the last kilometers with a good downhill run along a trail and down to the old doctors house in the village where we got pancakes and coffee. Captain Siggi joined us for pancakes and got us onboard the sailboat, where a hot shower awaited us, cold beers and snacks. After sailing deeper inside the fjord we enjoyed a wonderful meal. Siggi’s talent in the kitchen is world known by now. The days that followed included runs from one fjord to the next, leaving the sailboat in the morning and meeting up with Siggi and his boat in the afternoon. Enjoying wonderful meals cooked from local ingredients, cold beers and relaxing evenings. Rob Krar’s idea of a relaxing evening included a SUP around the fjord one calm night. Not to mention the refreshing baths in the Atlantic Ocean as seen in the photos. Thanks to an amazing group and the best captain in the world I will never forget this trip. I can’t wait to set out from Ísafjörður July next year with sails up, heading to the unforgettable adventures in the nature reserve. Check out Thule Trails for some fantastic adventures!